February 8, 2017 | By Mark J. Occhipinti, Ph.D.
That’s why a career in youth nutrition can be so satisfying—not only will you impact how young clients feel today and in the near future, but your insights will often have a ripple effect that can last for a lifetime. Healthy eating patterns can help children and teens physically, emotionally, and mentally. Healthy eating benefits everyone from babies to the elderly, but each age group does have specific concerns that you should start thinking about as you gear yourself up for more education. For example, with youth nutrition, you’ll want to take a look at factors contributing to childhood obesity, which has more than doubled in children and quadrupled in teens over the past 30 years, according to the Centers for Disease Control. This is a complex challenge with numerous factors, and the more you can research the issue, the better prepared you will be when facing it in your own client base. 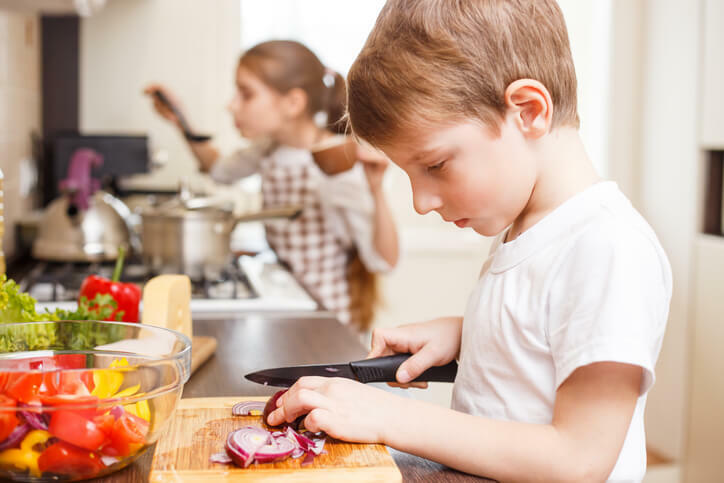 Similarly thorny childhood nutrition issues include the role of physical activity, particularly for young athletes, as well as how schools are shaping (or thwarting) a child’s nutritional inputs. Childhood nutrition isn’t just about addressing issues like obesity and diabetes, it’s also focused on giving children and adolescents the best possible chance to thrive and succeed. Your clients may be young athletes looking to set good habits before they hit college, or they could be teens who want to switch to a vegetarian diet and have concerns about adequate protein intake. Being aware of these type of concerns on a broader level can help you create a data-centric focus and make you aware of the research resources that are vital to keeping up with nutrition trends. Embarking on a rigorous, accredited educational program that’s specific to youth nutrition can propel you forward in numerous ways. Not only will it give you the confidence to advise others on the topic, but it will also broaden your insights and skills in important strategies like evaluating clients, setting habits, determining proper hydration and nutrition for individuals, and pinpointing roadblocks to progress. With a program that’s specific to youth education, you can learn how to handle many of the toughest issues facing parents, coaches, and teachers, such as how to limit caffeine intake and discourage nicotine and alcohol use, losing weight safely without triggering an eating disorder or a self-esteem problem, and how to change eating plans based on shifts in growth and sports participation. From healthy snacking options to optimal performance insights, your advice can have a profound effect on your young clients, and reward you with a meaningful and impactful career in youth nutrition.